Help us nurture youth to become socially-responsible thinkers, doers, leaders, and innovators. Our changing climate is affecting our health. At CYPHER, we believe in the inherent wisdom of our youth (13-24) to come up with practical, affordable, and innovative solutions to build healthy, climate-resilient neighborhoods. CYPHER develops solutions-oriented youth programs that bridge the Climate Gap, or the disproportionate effect of climate change on vulnerable communities of color. 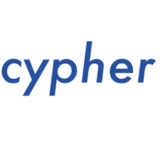 To build a pipeline of youth innovators and change agents, CYPHER works with youth, colleges, universities, STEM initiatives, government agencies, industry leaders, community-based organizations, foundations, and research institutions. CYPHER’s high-impact professional development workshops, environmental sustainability events, and school programs help our youth find the internal motivation to succeed and thrive. Your time, talent, and treasure will help raise awareness and raise leaders. Here is a short video on our Hybrid STEAM program, THRIVE, and the Sustainable Earth Decathlon. For information on volunteer, mentorship, and speaking opportunities, please follow us on Twitter @cypheryouth #MyKnowledgeCounts and on Facebook at facebook.com/cypheryouth.